Hey, I'm Stacey; 35 and have rented this property for 5 months. I absolutely love it here! I'm looking for someone to share the house with. I'm tidy, relaxed, fun and love to have a laugh. I'm past regular party nights, although still love a few drinks. Happy to chat and have the occasional drink/meal together, or let you have your own space if you want it. I'm looking for a like minded roomie, positive, clean and a dog lover, as I have 2 dogs. If it sounds like we could be a good duo for sharing a space to live, I'd love to hear from you! The street, house, and room - St Vincent Street is brilliant. It's wide and tree lined within 5 minutes walk of the bay, Albert Park Shops, Port Melbourne, and cafes. It's also a 3 minute drive to the supermarket and 5 minute drive to South Melbourne Market. The area is really chilled with beautiful parks at either end of the street. There are tram stops within 5 mins walk to get into the city, or it's a 10-15 minute drive to the city. The house is a 2 bedroom terrace home, with newly renovated bathroom and separate powder room. It has both a rear courtyard and small front yard. There is great off street parking directly out the front of the house that is unlimited and doesn't require a permit. Minimal traffic goes through the street. I have it fully furnished except for the bedroom you would rent. I'm absolutely open to you bringing furniture/art to replace what I have and working through what is a best fit to make it feel like home to us both. There's 7 months left on the current lease with scope to extend. Quiet guy who has own property in country. I'm Mansour I'm 31 years old Nurse profession. I'm working in RPA Hospital as a Nurse and regularly I do 4-5 nights shift every week. and I live this beautiful Studio apartment in rushcutters bay, I really loving living here it's bright and airy with everything within your fingertips, I am looking for female flat mate ( tidy German female recomonded ) she is clean responsible and respectful to share this place, and hopefully enjoy it as much as I do, cleaning habits are absolutely essential. you will have: - Your king sized bed with large windows over look outside and large balcony for smoke if you are smoker. -Good kitchen & bathroom - build in wardrobe. - lundry room inside the bulding. 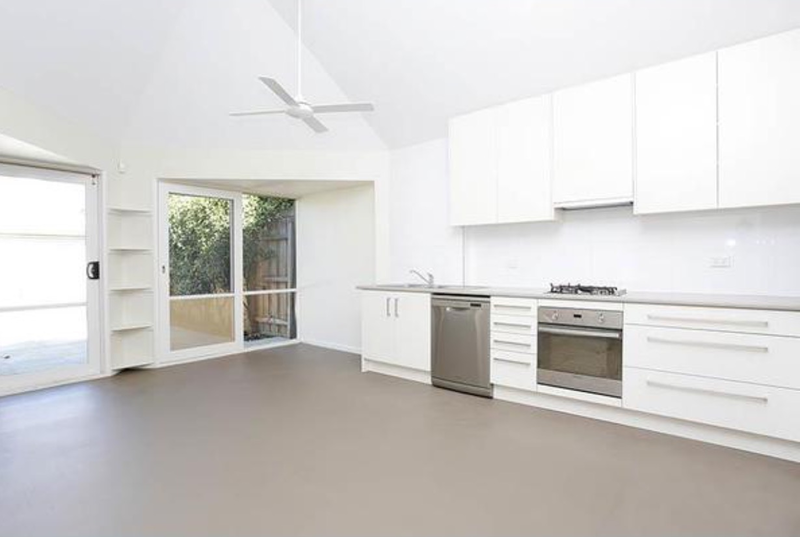 - Minutes walk to bus stops, 3 minutes to kings cross train station and supermarkets. - Rent include bills such as water electricity and internet. (responsible use of electricity) I am looking for - Clean, respectful professionals, will clean up after use. - Someone trustworthy and reliable. - No parties, drinks and loud noises. - No Pets. The bed avilable on 1st-Nov-2017 Please text me on 0469590922 and tell me about yourself, when you want to move in and how long are you staying, I will reply if I think you can be an awesome flat mate. Two weeks for bond ,two weeks for rent in advance. two weeks notice before leaving. This large 2 bedroom unit has a brand new oversized kitchen and living area. It has an open plan design with generous sized balcony. The main living areas have gas heating and air-conditioning. The bedroom has enough room for a double bed and has a new built in wardrobe. There is also an internal laundry with washing machine. There is one bathroom with a seperate bath and shower. The bedroom window looks over a small park area and beyond that is train tracks. You can hear the train from time to time from the bedroom. There is a double bed with mattress available for the room, should you need it. 3 minute drive to Centro Bankstown and a 10 minute walk to Bankstown train station. I (Rose) am a 60+ independent woman who works shift work part time. I enjoy seeing my friends, reading and candy crush. Looking for someone who enjoys the quieter things in life. There will be a cleaner once every fortnight (price included in rent) for the common living areas which will include vacuuming, mopping etc. I'm looking for someone who is tidy and proactive in cleaning up after themselves as I have had some bad experiences in the past!